You’ve no doubt been subjected to piles of weird think pieces on “Gen Y” and “millennials” and how they aren’t into cars anymore, because cell phones. You’ve trudged through quotes from 45-year-old consultants who get paid to tell 60-year-old executives how to sell things to 20-year-olds — then you look around and notice that car culture is doing just fine. We noticed that too, so we decided to hand an issue over to the members of our staff who are 30 years old or younger. They reached out to some of our favorite writers, photographers and artists who haven’t yet left their 20s behind. The result is our 30 & Under issue. Inside the issue, you’ll find stories, photos and art from people who might be familiar to you, like Jalopnik’s Raphael Orlove. You’ll also see some new names you’ll want to learn more about. 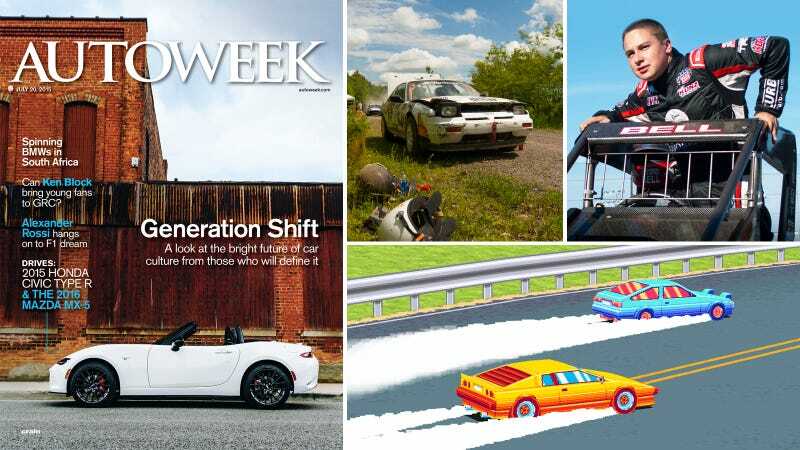 Usually, you need a subscription to get Autoweek’s print magazine, but since this is a special issue, it’s available as a download here.